Just a couple of weeks after Howard Assembly Room host NYC pianist Aaron Parks (October 2nd), they will host another giant of the instrument - Tigran Hamasyan. 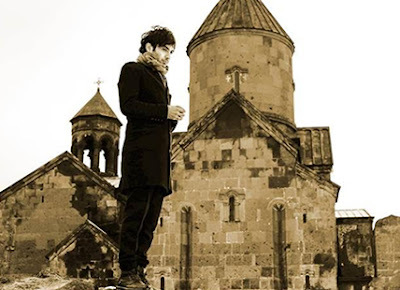 On Friday 16th, Tigran will perform in Leeds (his only date outside of London) with the 8 strong Yerevan State Chamber Choir in a concert which explores the music of Armenia. Although still in his twenties, Tigran is already a solo recording artist for Verve/Universal, Nonesuch and ECM and has been highly praised by piano luminaries Herbie Hancock, Chick Corea and Brad Mehldau for his dazzling virtuosity. Tigran and the remarkable choir perform music he has arranged by seven famous Armenian composers including composer Komitas Vardapet, who is well known to admirers of performances by Jan Garbarek and The Hilliard Ensemble. Tickets are priced at £15 and can be booked through the Howard Assembly Room website.